Home BlogKnowledge Does Copper Block EMF Radiation? I get the question, “Does Copper Block EMF Radiation?” fairly often, so I wanted to look into it. First of all, to answer your question: Yes, Copper, usually in the form of a copper mesh, will shield against most wavelength radio frequency radiation and other EMF radiation. 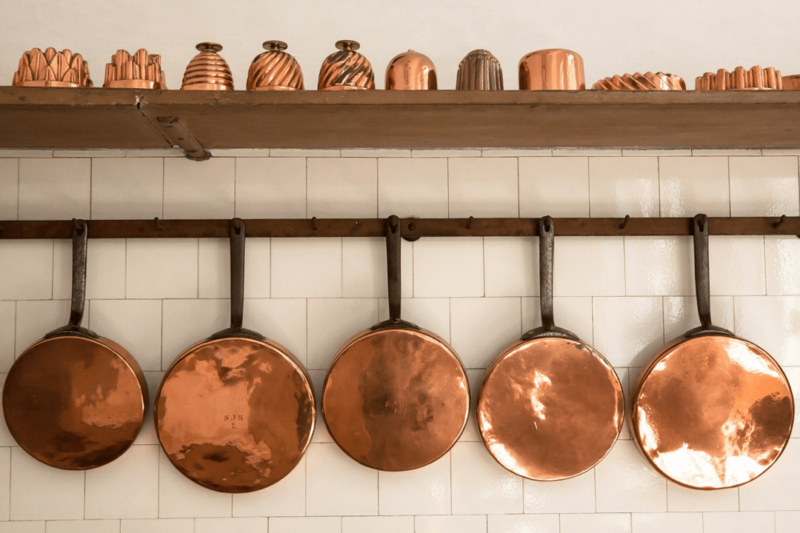 Copper is highly effective at blocking, or shielding, radio frequency radiation because it absorbs radio and magnetic waves. Just a brief aside, if you’re concerned about the dangers of EMF radiation, I’d really encourage you to check out the E-book “The Non-Tinfoil Guide to EMFs.” I didn’t write the book, but I just want to mention it because I absolutely can’t recommend it any higher. Yes, in fact, Copper is one of the absolute most reliable metals when it comes to blocking and shielding EMF radiation. This is primarily due to its ability to attenuate magnetic and electrical waves. This has a multitude of common applications, such as hospital MRI machines in hospitals, computer equipment, server rooms, etc. When it comes to blocking EMF radiation, you’ll often see copper used as a wire mesh, which will still act to completely block both radio and microwave radiation. How thick the copper mesh is doesn’t matter, what is important is that the holes are not any bigger than the shortest wavelength of the radio or microwave the mesh is attempting to block. This is often referred to as a Faraday cage and is often also made out of Aluminum Foil. It is important to remember that although metals like copper and aluminum are effective at shielding against EMF radiation, they do not absorb it. These waves move in a straight line, so you are only protected if the metal is directly between you and the source of the radiation. This is why it is not smart to use things like EMF protection paint (read my article on that here) or copper in your house if you have things like wifi or other devices that generate a large amount of EMF radiation because the waves will bounce around and the harm can be accelerated. However, using things like copper mesh are great at keeping ambient EMF radiation out of your home, and you’ll often see copper mesh as a screen on windows for exactly this purpose. You can even purchase a copper-containing film that goes on your window on Amazon, that blocks EMF radiation without reducing visibility much at all. This is why it is so important if you’re looking to better understand the amount, and type, of EMF radiation in your home, and want to make it a safe place, that you get a quality EMF meter. I personally love the new TriField TF2 (read my review) as it’s simple to use, lasts forever, is extremely accurate, and measures all three types of EMF radiation. With a meter like this you can move around your home or office, and understand just how much EMF radiation is being emitted. This is also really helpful when you’re trying to implement changes to reduce this radiation because you’ll know if it’s actually making a difference. If you take a minute and read my posts on EMFs In The Bedroom or 11 Ways To Eliminate EMF Exposure, you’ll gain a much more complete understanding of how you can use an EMF meter to make positive changes in your home. Copper is really effective metal at shielding against EMF radiation, which is why you see it in many hospitals or IT applications, however, it is not the least expensive option. For that, I would go with aluminum foil or aluminum mesh. For more on that read my article on Aluminum Blocking EMF Radiation. There are other metals that work well for this purpose or when building Faraday cages. The other metals that you see most commonly would be Iron and Steel. This is the reason that often times in buildings with significant steel framing, you will have various dead spots where you won’t receive a cell phone signal. If so, consider sharing it! Also, if you’re looking for great information about the dangers of EMF radiation, check out the other articles on EMF Academy, or consider picking up the E-Book “The Non-Tinfoil Guide To EMF’s,” Which is just one of the absolute best resources around. Hey Lisa! Thanks so much, I’m glad you enjoyed the article. That is a great idea, I’ll try to get that done soon! Hi my name is Smitty I did enjoy your article very much . I am concerned about the 5G… But I’m a gonna read the rest of your articles thank you very much.